Yes, once again it's time for the other Sunday in Hell race. The one that seems happy to sit sleepily in the shadow of it's bigger brothers and sisters. A kind of rouler's rural retreat, with it's eccentric parcour and prizes to match. 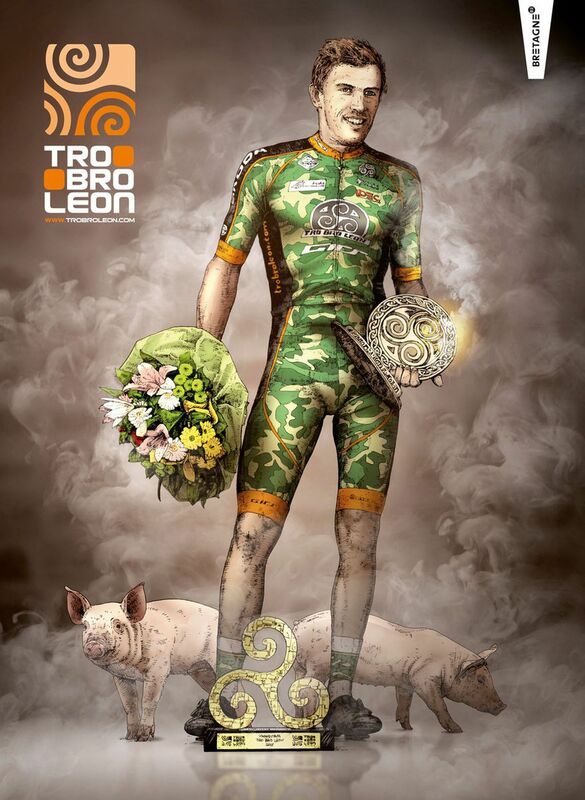 Hardly surprising since Tro-Bro (Breton for Tour of Leon) sprung from the mad mind of Jean Paul Mellouet, a cartoonist and amateur cyclist, who dreamed................................small. Sometimes referred to as “Le Petit Paris-Roubaix” and “The Hell of the West,” the Tro Bro's "unusual" parcour still gets the odd tweak from Mellouet, who is constantly on the look out for new ribinou section to add to the mix. 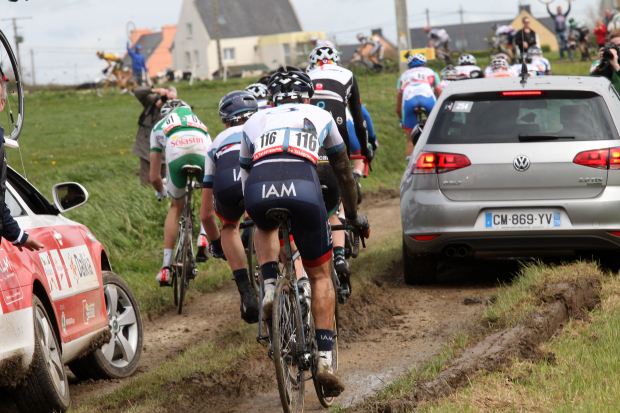 Like Paris-Roubaix, the race is often anarchic. In 2014, there were 56 finishers. In 2015, there were 32. In 2016 and 2017 there were 64. Last year, Damien Gaudin and Frederik Backaert escaped with about 40 km to go and held off the pack, mainly by the work of the eventual winner, Gaudin. Rasmus Tiller almost made my day! Awsome race, like Strade Bianche is just a copy! "There were 15 of us out front and there was no way we could have gone to the finish as a group. So you had to go first. The best means of defence is attack. I also had Hugo Hofstetter in that group, so I told myself 'I'll go full gas and if it doesn't work out, we've still got Hugo'. It paid off. I had to make a big effort to catch up with Damien Gaudin [who counterattacked from the leading bunch to reach the breakaway] ... I really paid for that but I could hide at the back then wait for the last circuit to go again. That's what I did. If I hadn't won today, I would have said [my Spring campaign was] only decent, even with three wins in hand. My favourite race is Paris-Roubaix. I got sick in that week and I wasn't 100% on the start line. Today, I was all-in. I had the anger. I wanted to give it all before going on holiday. So that's a good end to my first part of the season. I'm really happy. It's a nice race with a big reputation." The proper finish returns after last year's flood damage. "Pronunciation hint: Most longtime locals say Mogollon as mug-ee-own". Brilliant and true. That is very hard to translate. "Fire in the belly" is too parochial and possibly hyperbolic, while "anger" and literal "rage" are both probably misplaced. He was not "angry" as such, it was just that he didn't get to ride PR in his best shape and he wanted to go all-in before his holiday. Perhaps it has to do with the traditional view of anger as a negative emotion but it isn't easy to find the right tone with that. Not quite the field of last year (no Nibs) but decent TV coverage and a rare opportunity to see an all-Colombian team, Dark Sider Matteo Rabottini and young talent Ziga Jerman among the bigs. And two MTFs. Almost completely unaware of this race back in 2014, I happened to be roadtripping through the region and found myself behind the race convoy on the final "Gila Monster" stage. I think I must have driven 50km like that and it was a very tough finale. One guy was right at the back but held on to the finish and I don't think he was even OTL'd. EDIT: Nope, he was OTL'd. Ljubljana Gusto Xaurum, MsTina-Focus, Adria Mobil, and Bicicletas Strongman Colombia Coldeportes (plus Meridiana Kamen who are from Croatia). 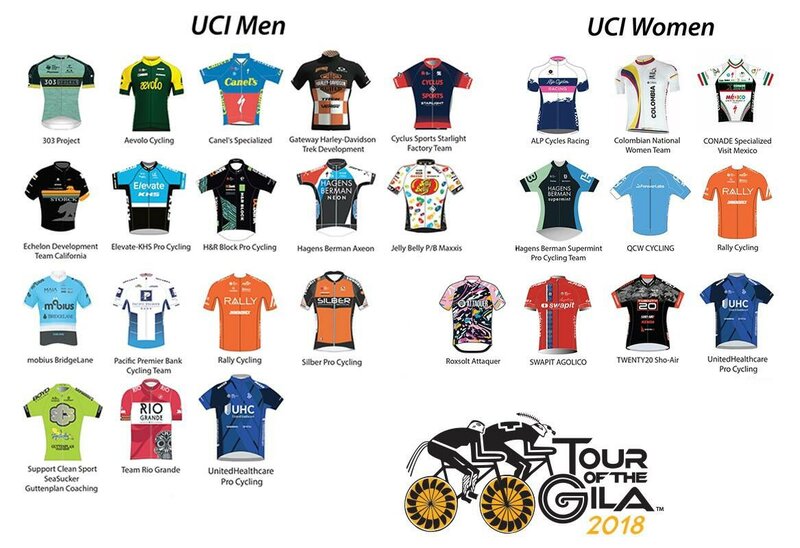 I guess some UCI rules aren't even worth the paper they're written on. I thought it was Horner who helped out a bit financially the last year or so. I could be wrong. Haven't checked it out due to CN's new ad blocker measures. I'm unable to find a start list that I trust, but one late team entrant is Costa Rica. Is the lad worth a shot on a bigger team? I liked it when someone threw a bottle at Astrid. Anyway a big gap for the front two. Mannion, Villalobos and Murphy(?) lost a fair bit of time in the last few km. Corte the best placed in the GC I think. That was too big to succeed. New smaller group is Janier Acevedo, Daniel Jaramillo, Christopher Blevins, Cormac Mcgeough and Cullen Easter. This year, we get the full Monty. It took so long I had to go back and check: one hour and fifteen minutes for the winner, Konstantin Siutsou. Last man home took exactly two hours! Ended on little more than a goat track, atop a knife edge of rock, with sheer drops to match. 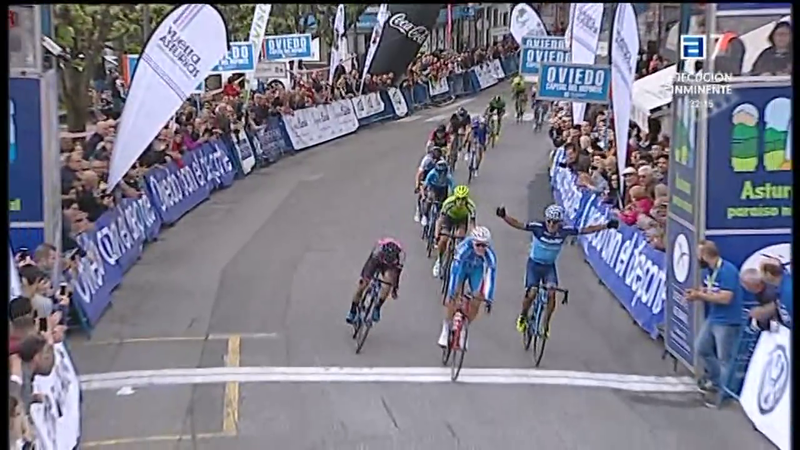 Best of all we had Siutsou and Weening doing track stands, a la Contador and Schleck, inside the final 1.5kms. MotM: Nik Eg.Pulled the whole train for close to an hour and still finished 5th. He's very good for those 2.1 races, sometimes even 2.HC, but has a hard times finding success in a WT race. And it doesn't help that he's from Romania; an Italian or Belgian sprinter of the same level may find it easier to get a WT contract. All in all, I think he's better off winning the odd race on this level than placing somewhere between 8th and 21st in WT sprints. Maybe not financially (no idea what pay him, and how that would compare to a WT team), but overall, in terms of work-life balance etc. They held on, but not with enough of a gap to take the lead. Yes, he seemed talented but didn't really improve the last 2 or 3 years. Of course you'll never know if a WT team could better further his talents but he seems to gell well with Nippo. Great racing from Pogacar, Pearson and especially Eg in Croatia. Can I continue my yearly bashing of now? 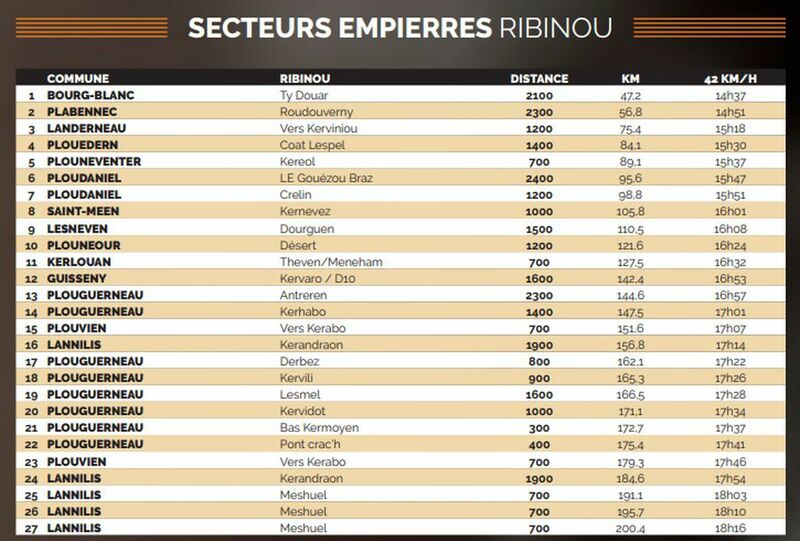 It is not so much about Fortuneo....but the fact that is racing at a lower level, develops ridersbetter and beats regulary in races. BIG CONGRATULATIONS to CF Hagen for winning the Tour du Jura.